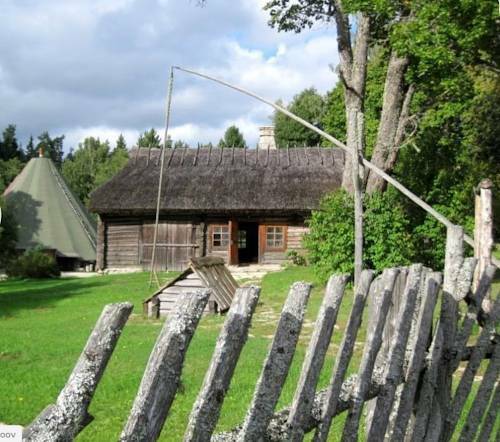 NPO Estlander has chosen Raudsilla Entertainment Complex as the venue of Bushcraft Festival Estland. Take Peterburi maantee (highway) and turn at Loksa intersection towards Loksa. Take the second road on the left towards Kolga manor. After the manor house follow the road for about 1,3 km. Turn right when you see Raudsilla sign. Follow the road for 1,4 km. You can take a bus from Tallinn to Kolga. See the timetable here: http://peatus.ee/#route_search;A922;5405/eng – make sure that you choose a right date and then click SEARCH. To see the location of bus stops click “Map”. When arriving at Kolga, take a nice hike to Raudsilla (about 3 km). 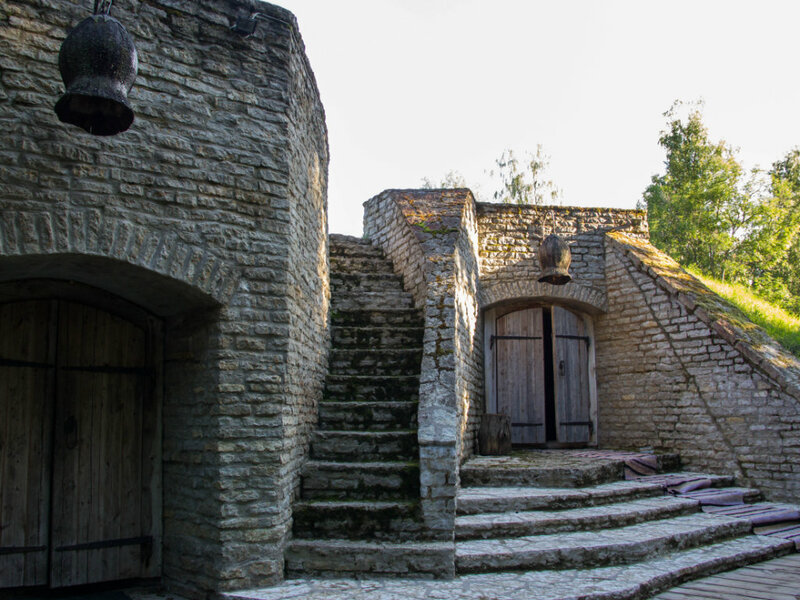 Take the direction to Pudisoo – towards Kolga manor, down the hill. Follow the road for about 1,3 km. Turn right when you see Raudsilla sign. Follow the road for 1,4 km. The three-day pass includes the opportunity to set up one’s tent in the Raudsilla camping area. 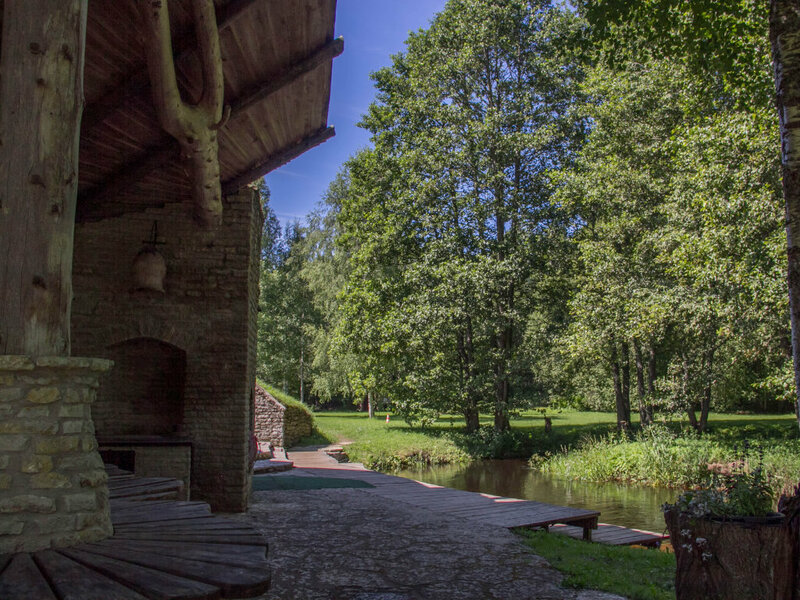 Should you prefer to leave your tent at home and wish to stay somewhere more comfortable, you might want to consider the nearest guesthouse Annenhof Holiday House (5 kilometres from Raudsilla). See more here! Raudsilla Entertainment Centre is unique in the Orient as it is situated in Esonia’s largest national park, on the verge of a nature reserve, in the bottom of an ancient river bank on the grounds of ancient human settlement near the banks of an ancient sea on the banks of today’s Pärlioja where pearls can be found. All this is complemented by the centre, which has been built keeping in mind ancient traditions. 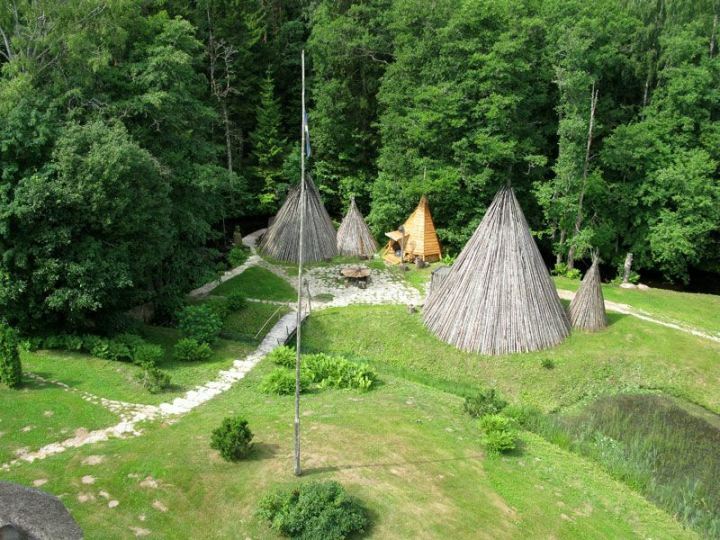 It encompasses beautiful and simple constructions that stand in unison with nature – tepees, log houses, earth caves. This is how we, as the first and eldest people who arrived in the Orient in the end of the Ice Age, have been living in Europe for 12 000 years . Raudsilla is more than a meeting place – for us, our brothers, and for all peoples who hold Nature dear it is the perfect pace for spiritual wellbeing. 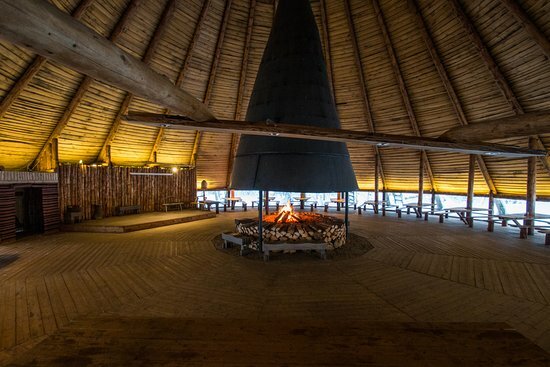 The Large Tepee is most probably the largest tepee in Europe that can be heated using a fireplace in the middle of the room. This is the oldest construction type used in our culture – it has retained its use ever since we arrived in Europe 12 000 years ago. 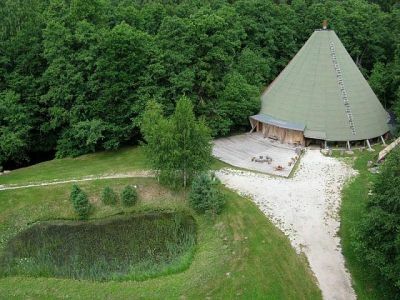 This tepee accommodates up to five hundred people as concert audience or up to two hundred as workshop participants. The lodge poles used to build the tepee are 20 metres long. The Small Tepee is not that small in actual fact. As the descendant of one our most ancient dwelling places, its floor area and height exceed those of its predecessors. It is also a lot more comfortable. The benches at the tables can seat up to forty people, and the fireplace has been built higher from the ground level to spare the eyes from smoke. Sleeping Tepees stand in the protective shade of the forest, camouflaged by green moss hats, as if they belonged there. Looks can be deceiving, though, and from the inside they are far more comfortable than one would guess at first sight – the tepees have electricity for warmth and light; they accommodate up to four people who can get a good night’s sleep on the mattress-covered sleeping area after an eventful day. The Light Tepee is an example of light constructions used when travelling. 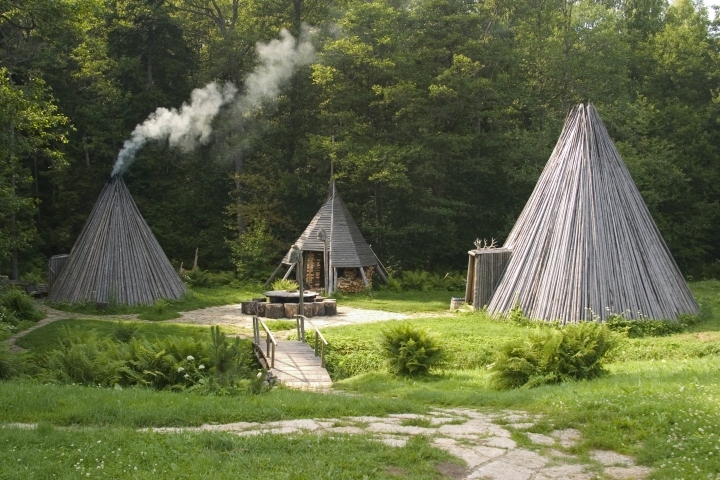 Very often when people travelled between the same locations they did not carry the log poles for tepees along, but left them on the camping sites, where, dried by the wind, they preserved in good condition until people returned and covered them in animal skins, adding some moss, turfs, leaves, and fir branches to keep warm in winter. Nowadays. all we need is some canvas or a mosquito net – this is how much times have changed our opportunities. Cave-room is a cave burrowed in the old river bank near the cave-sauna. It has been reinforced by a limestone front wall, and it guarantees even temperatures throughout the year. Like modern cellars, it keeps away scorching heat and extreme cold, It is a rather new construction type, dating back to about 5 000 years ago. It is also the distant predecessor of our log houses, which were originally also partly caves, extending only above ground by a wooden construction of just a few logs. The Old Log House is the first house to greet our visitors. Despite its moss covered thatched roof, old logs, and small windows and a hunched back, it still looks majestically ancient. And ancient it is – this is where several generations were born, lived and passed away. Yet, this simple log house which has become the symbol of our farm life is a relatively new phenomenon – we have been living in houses like this for just a meagre couple of thousand years of our long history. The New Log House stands somewhat further away. Compared to the Old Log House, it is considerably higher and neater and has more light. Its back is not hunched yet, its walls not crooked. Just a century is to short a period of time to deprive the building of its youthful glow. Its shingle roof will offer shelter to around forty souls. The Small Paargu (outdoor kitchen) is an integral part of the Ugric farm culture – this is where food was prepared in summer. By its nature, it is the oldest structure. Up to now, outdoor kitchens have been in tepees, but there have also been deviations from the rule, as this Paargu here. Large Paargus (outdoor kitchens) there are more then one – one in one ant the other in the other end of the area. As sisters, they are similar to, yet different from the Small Paargu regarding size and opportunities. In addition to a large fireplace, there is also an old stove with a cooking oven and an iron cooking plate. There is a place for smoking meat, as well as cool storage units in the limestone wall. By nature, they are still the descendants of the ancient summer tepee with it simple fireplace and kettle. The Meat-Smoking Tepee is an ancient structure for processing food using just one method. This is where large quantities of meat was smoked, so that it would not go off during the long winter. The process was time-consuming, but not too tiresome, especially considering that one would have to check the quality of the product from time to time. The Shed is a simple but indispensable structure in our climate where snow and rain are quite frequent phenomena, as it guaranteed dry firewood. The first sheds must have been tepee-shaped for centuries, before they acquired their familiar square form. The shed is not only the place for firewood, this is also where wood crafting is done, workpieces are kept, tools are kept and maintained. 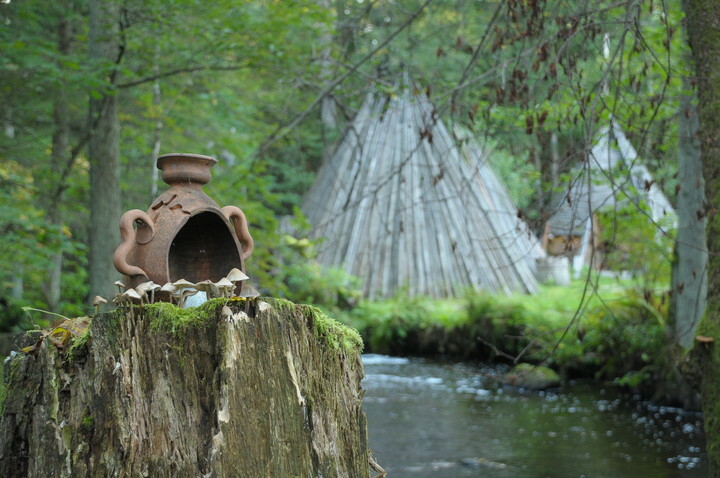 The Tepee Sauna is the oldest type of saunas in this region. And the sauna tradition itself is also as old as our existence in this harsh local climate. How else could the ancient Estonians cleanse their bodies in the freezing snow, but by warming themselves in the steam f the tepee first. 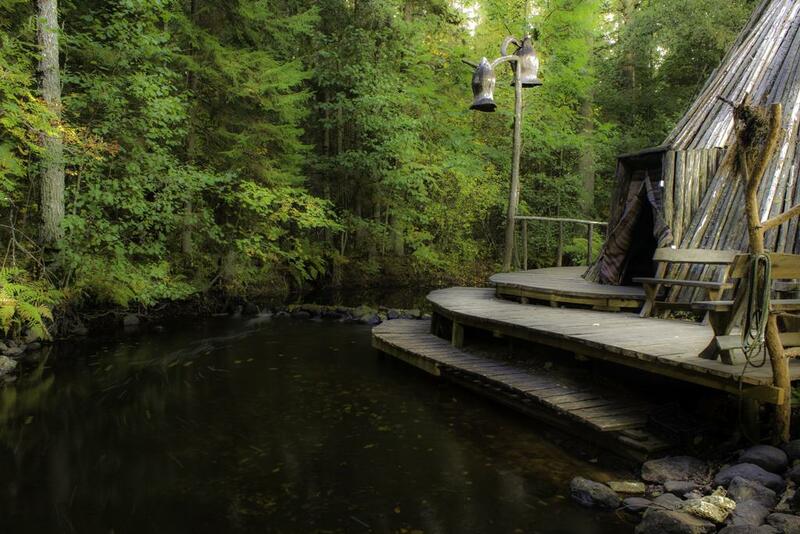 This ancient sauna offers ample of steam and seats up to forty people. 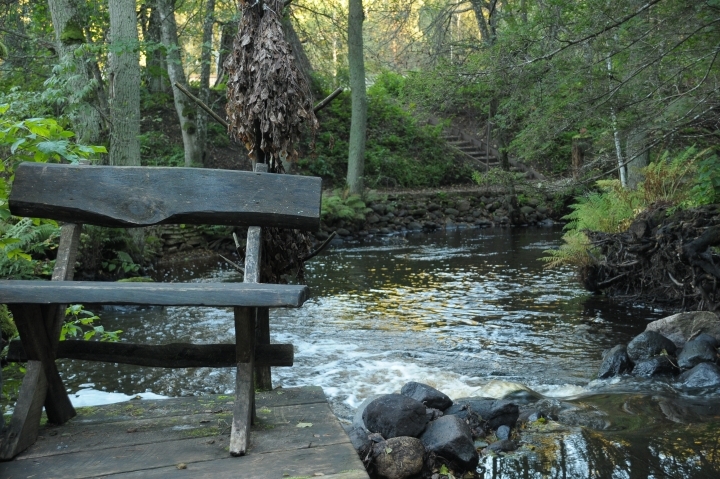 After sauna, one refresh oneself in the clear-watered river Pärlijgi. Cave-sauna is a much more recent construction than the tepee, dating back to probably five to six thousand years ago, like caves as dwelling places. The steam is surprisingly even and mild, which is caused by the constant moisture of the soil – this steam will not “bite”, as there is never dry enough for that. Inn addition to tens of sauna-goers, there is room for a pool of brownish peat bog water, which has been attributed medicinal qualities. The Shower Quarters are here to comply with the busy lifestyle of contemporary people. Far too often, the time-consuming sauna joys and river dipping are too much for those who rarely find time to get off the busy treadmill of everyday life. Our showers will let you get clean in a quick and simple way without investing too much time.